I have a new found love for makeup along with nail art. I love applying cute colors on my lips, playing up my eyes with different eyeliners and colors just like my nails. Feeding this new love with something out of the blue, I bought a new eyeliner. 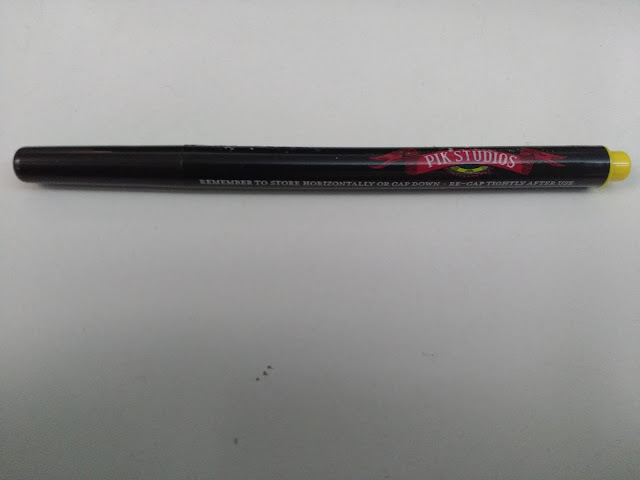 It is a precision liquid liner by PIK studios, which is India's first felt tip pen for perfect eyes. I bought this off an online shopping website at only Rs. 10 on a pretty cool deal. 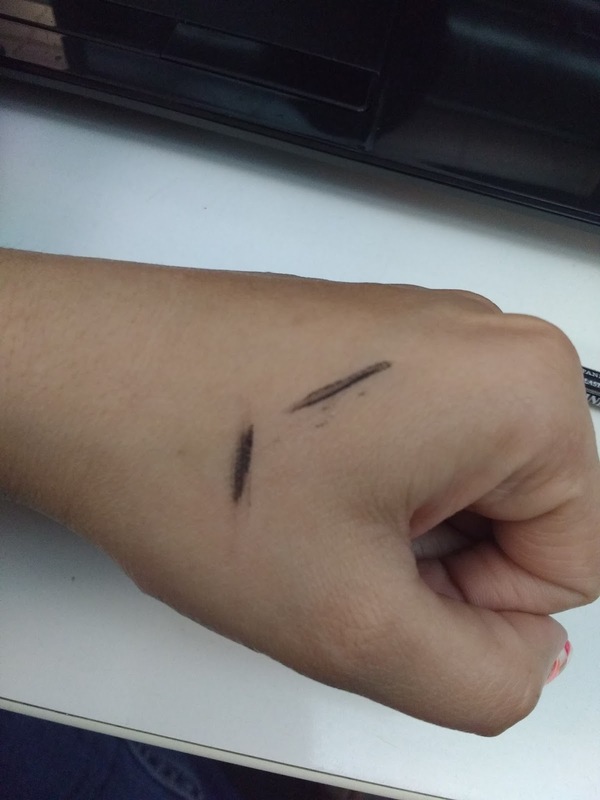 I was very happy to get a felt tip eyeliner at such dirt cheap price. Although I had my doubts about its quality but how bad it can be, isn't it? 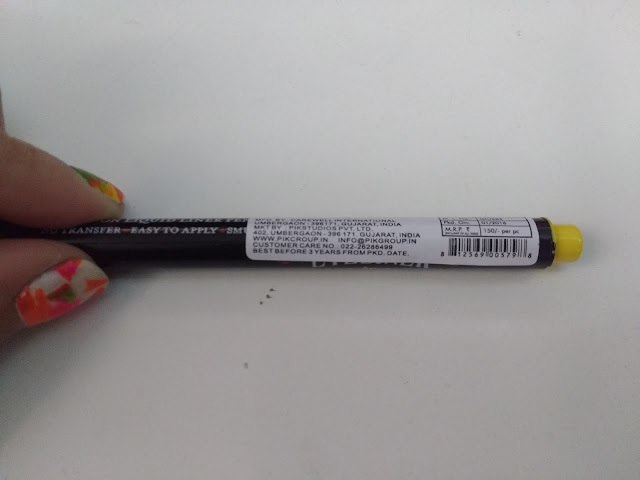 Check out my review on this eyeliner! 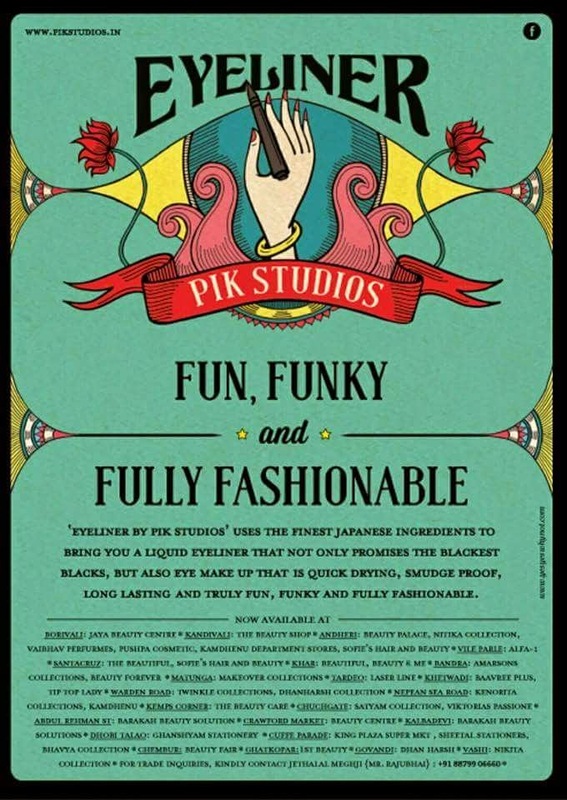 Brand claims it to be Fun, Funky and Fully Fashionable. 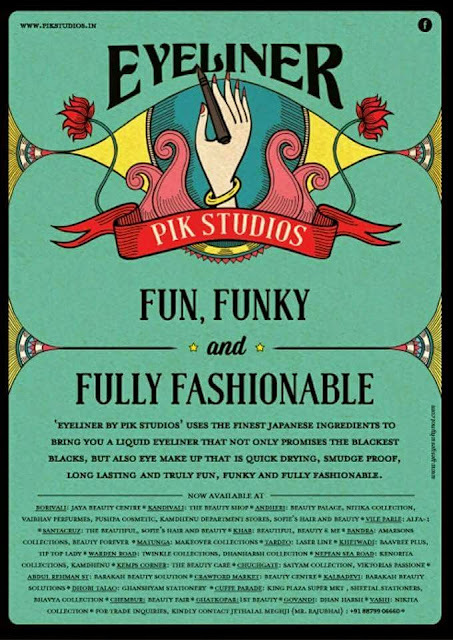 Eyelinerby PIK studios uses the finest Japanese ingredients to bring you a liquid liner that not only promises the blackest of black but also eye makeup that is quick drying, smudge proof, long lasting and truly fun, funky and fully fashionable. 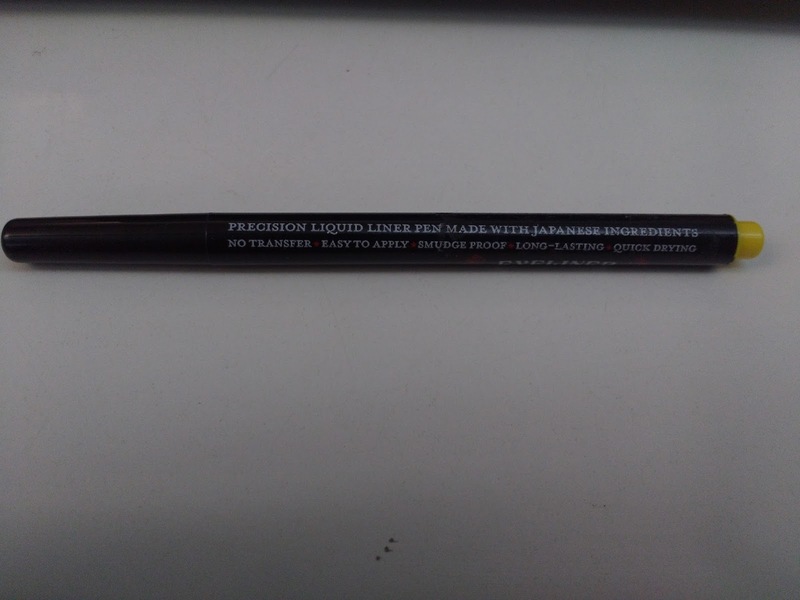 Although the brand claims to use finest ingredients in the eyeliner, all I could see were a bunch of chemicals and parabens. However, I got this at Rs. 10 due to some promotional deal. The eyeliner has about 3 years of shelf life. 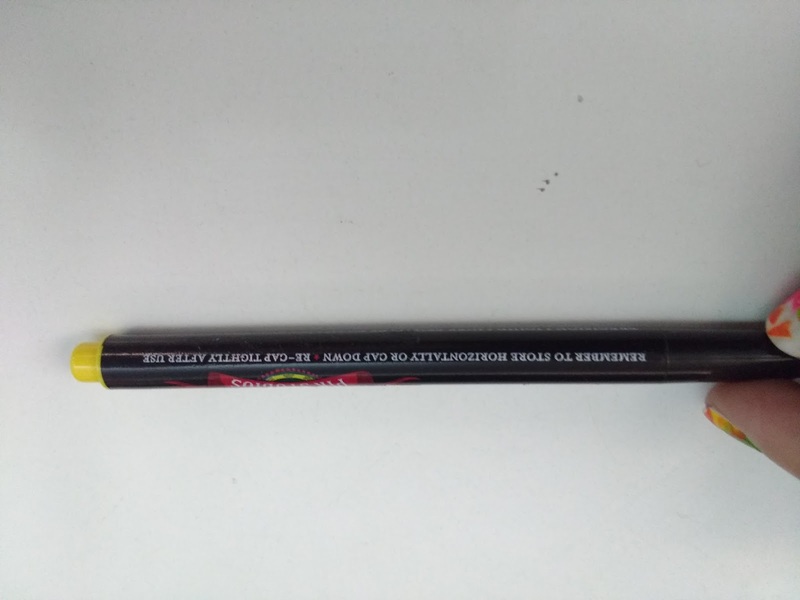 It comes in a sleek and very light weight sketch pen style pen. 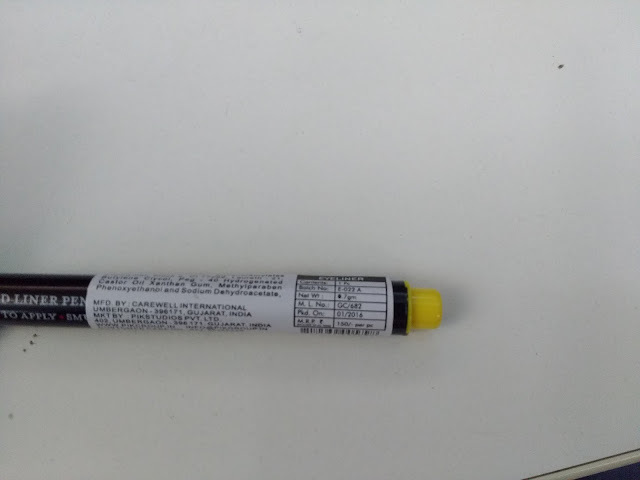 If you have used felt tip pen for art projects, this will remind you of something like that. 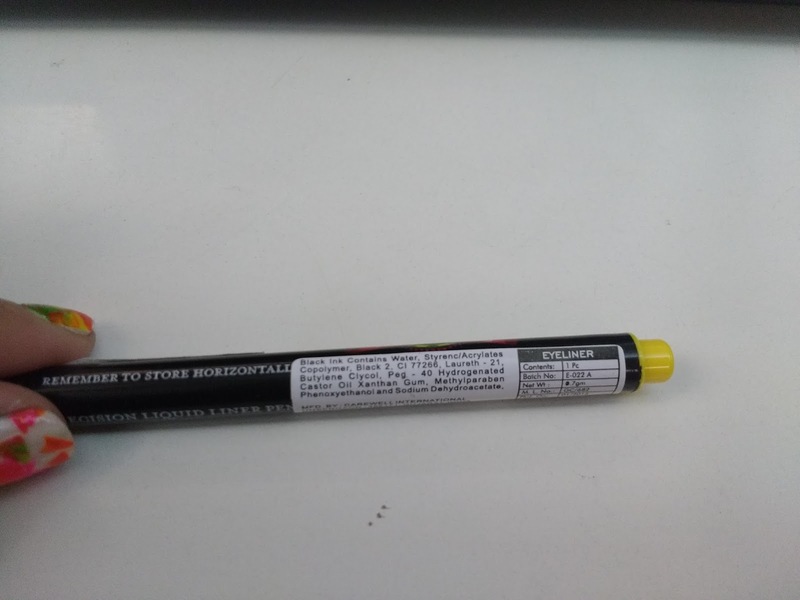 Remember to store it horizontally or cap down. Tip is very light and a little thick. Now comes the best part, Quality and efficiency! 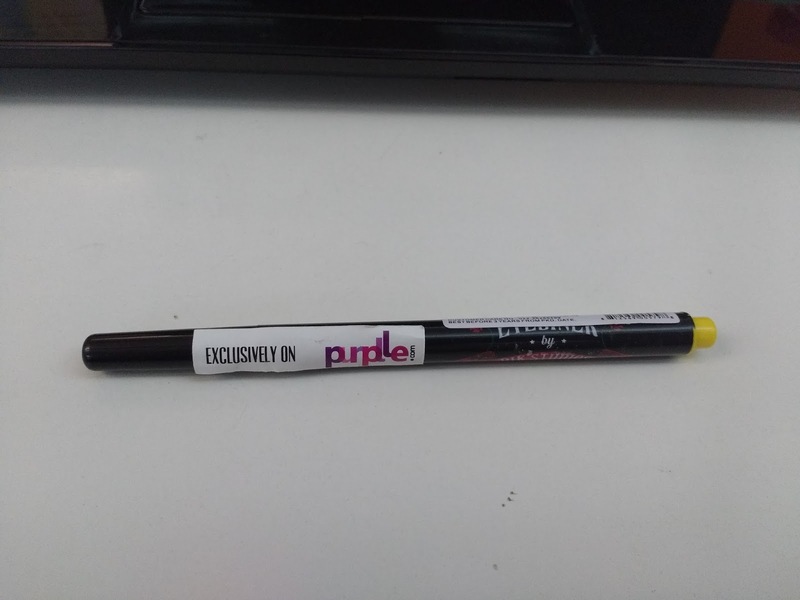 This is by far the worst ever eyeliner I have used. If someone is giving them out as freebies, do not even think about having one. I used it once and that is it. Just one single usage! 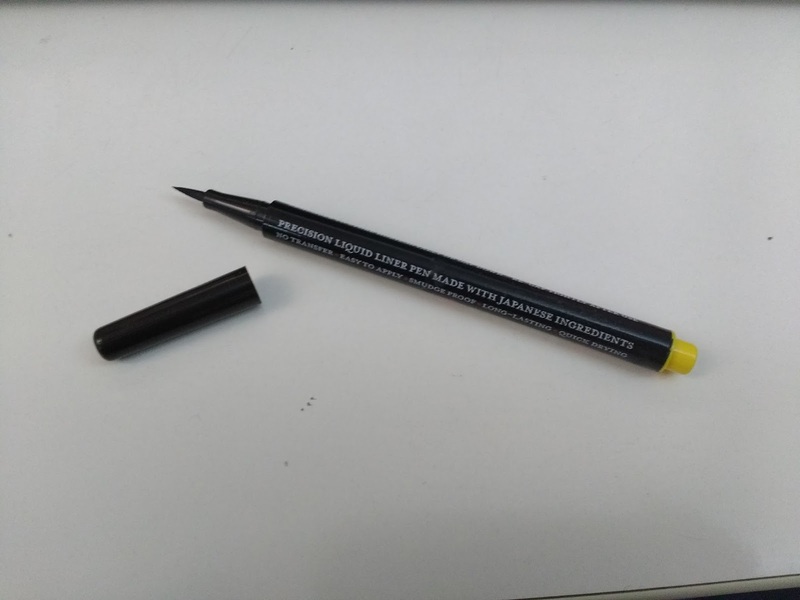 Ink in the eyeliner seems to have dried right after the one single usage. You can see in the image above how I struggled to apply it on the second time. Can't even imagine to put this ridiculous thing on my eyes. Difficult to take off. Make sure to use a cream based makeup remover otherwise you might harm your eyelid. Doubtful about the quantity although it says 0.7 grams. If you are planning to try it, do share your experience with me. I am buying few things on Purplle and they are giving it to me as a Freebie. Will share my experience once it is delivered. You will not like it even as freebie. Very bad quality. The tip felt hard on my hand, not at all suitable for the eyelid skin.